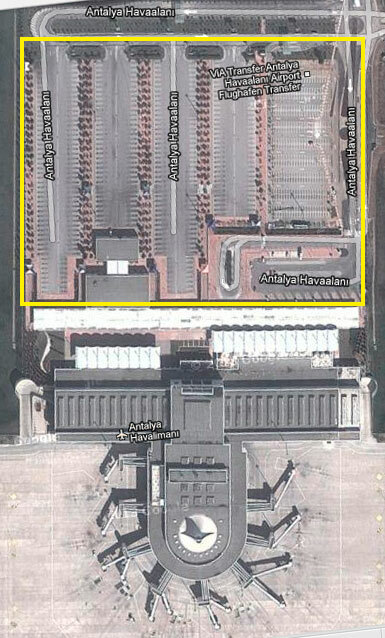 The Antalya airport has more than 2,000 parking spaces available to park at affordable prices. 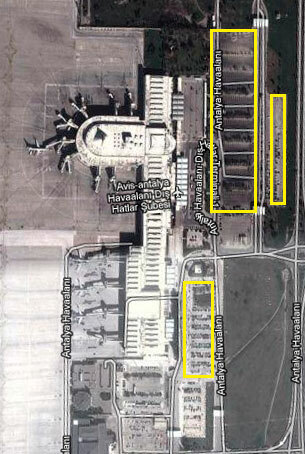 The parking spaces are divided in front of the Terminals (2 International Terminals and 1 Domestic Terminal). Due its location (close to all terminals) is not needed to use any shuttle and you can arrive quickly to the terminal walking. There are also available park space for passengers with limited mobility. The parking is accessible 24 hours a day. The Antalya Airport is secure and controlled by cameras and security personnel continuously. The rates vary from 10TL for 1 hour to 25,25TL for the whole day. The first fifteen minutes are free.